the carriage is in the tilted(load) position. 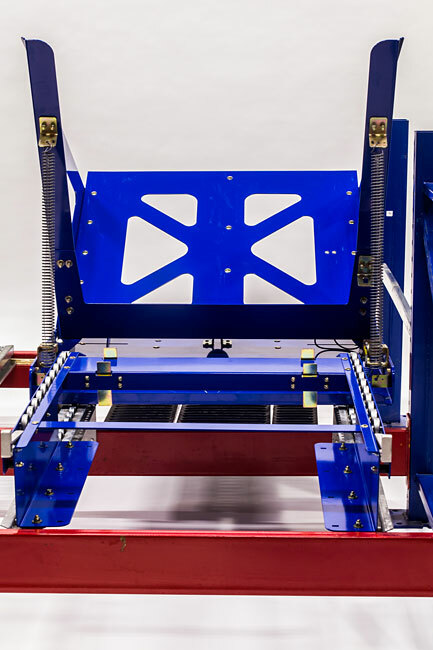 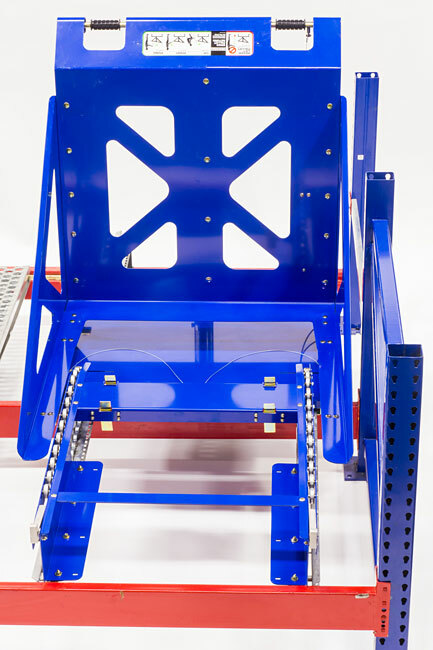 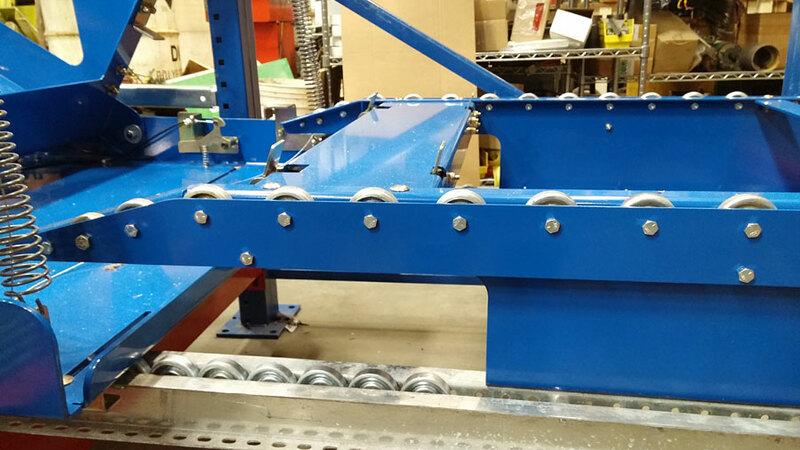 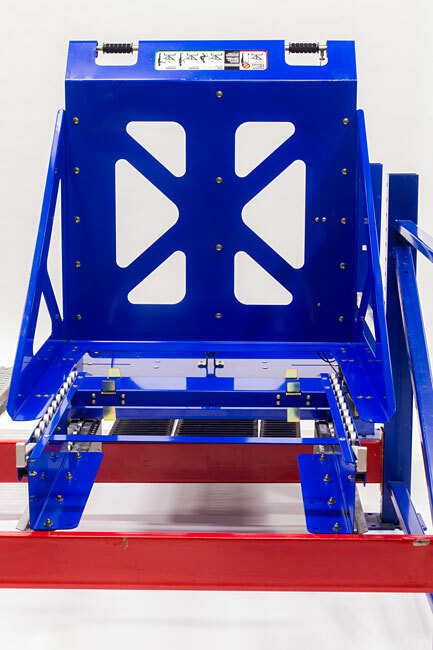 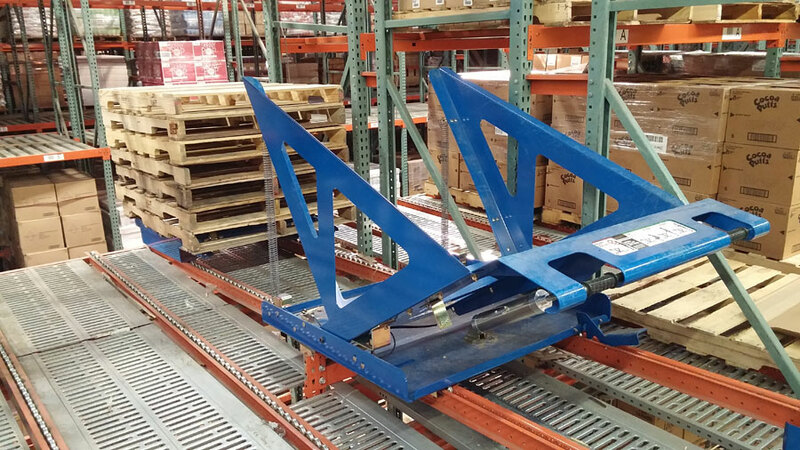 Browse through the photos of the Pallet Return Device, the only pallet stacker that can be customized to meet any need. 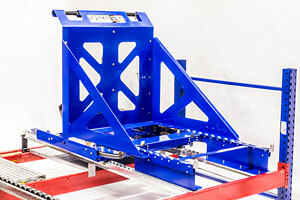 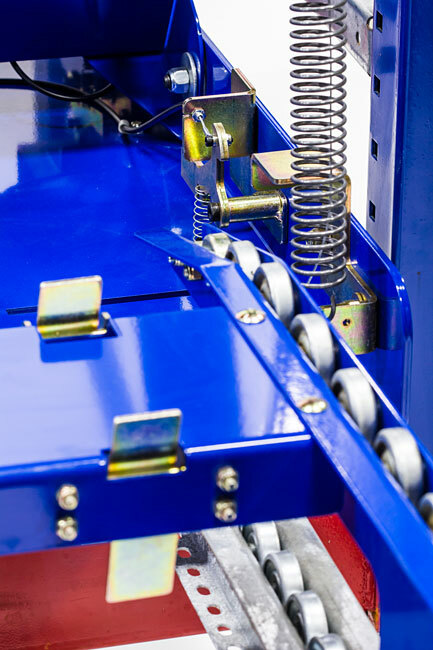 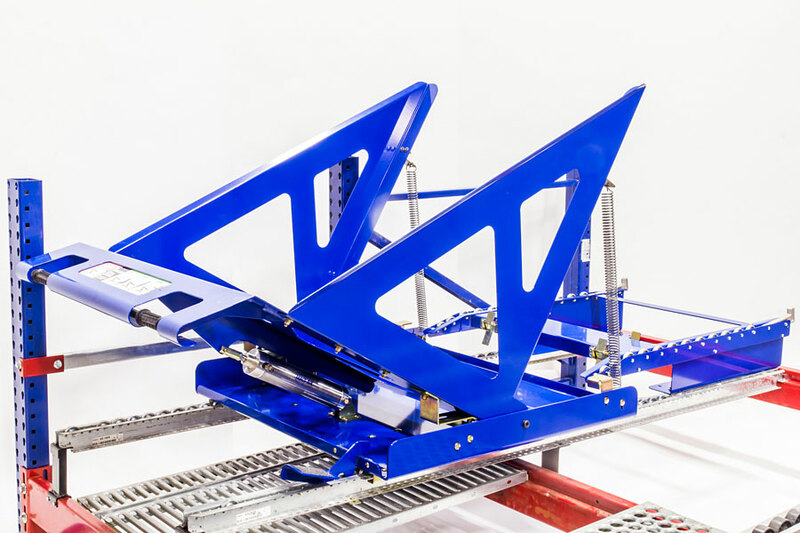 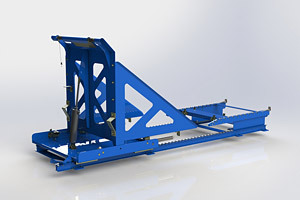 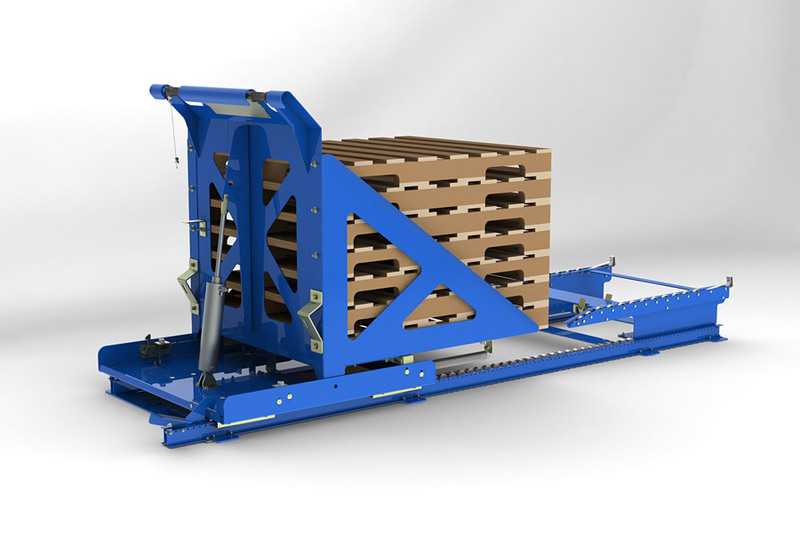 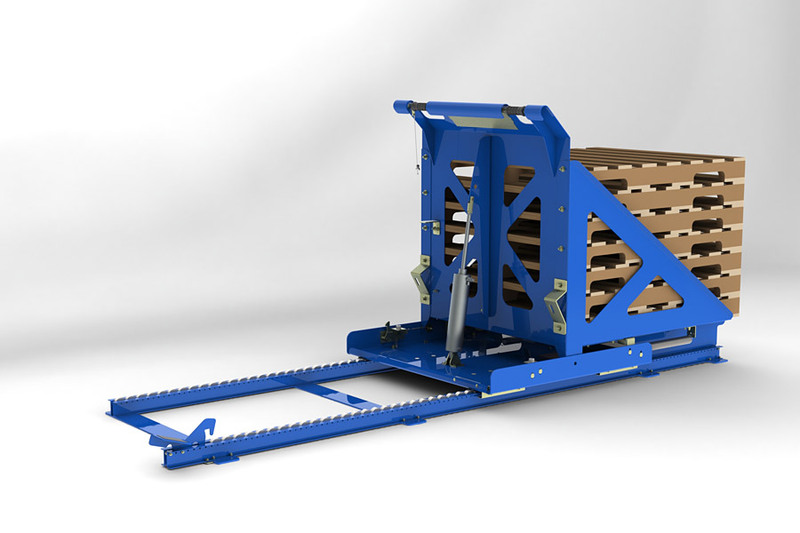 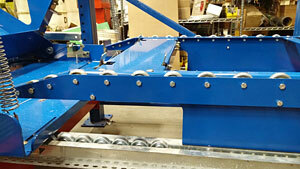 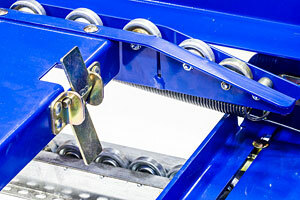 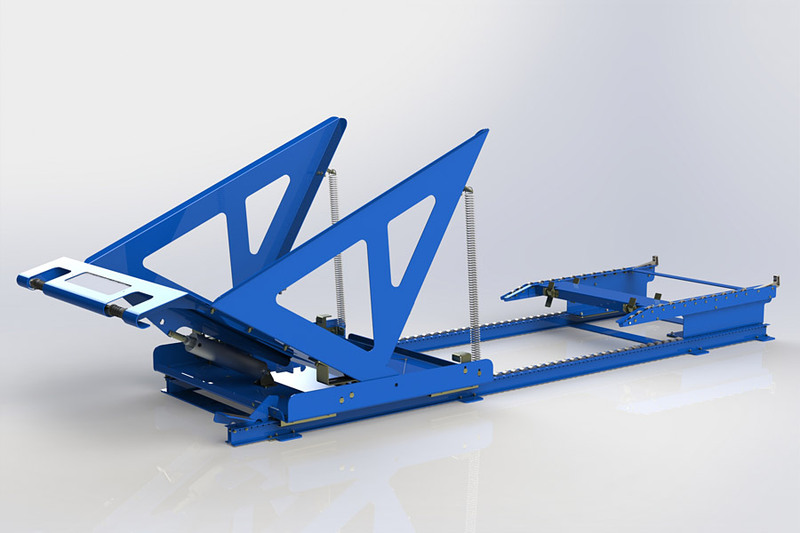 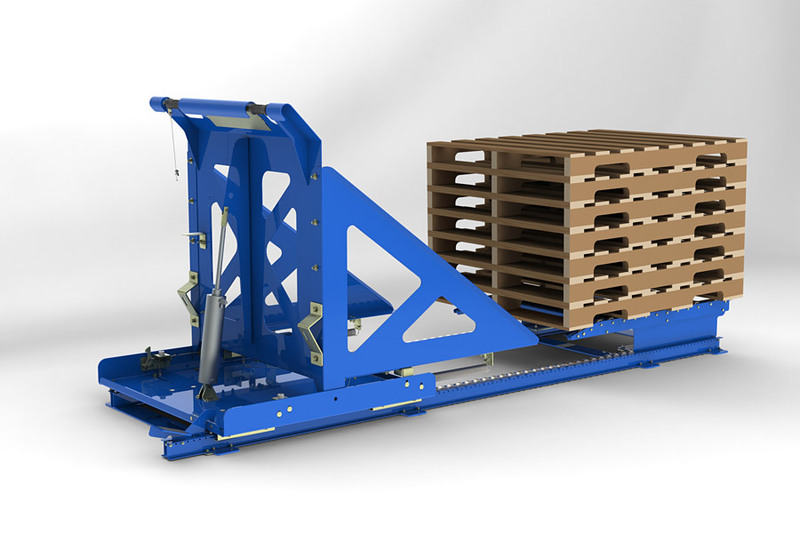 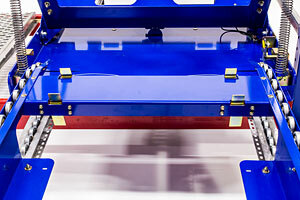 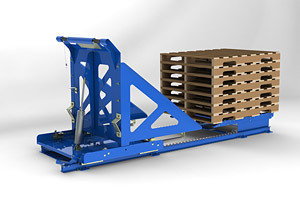 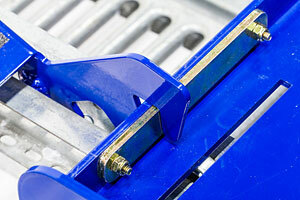 The pallet 'carriage' is designed to straighten each pallet that is loaded and tilts backwards for easy loading. 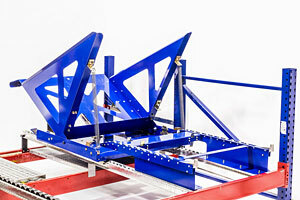 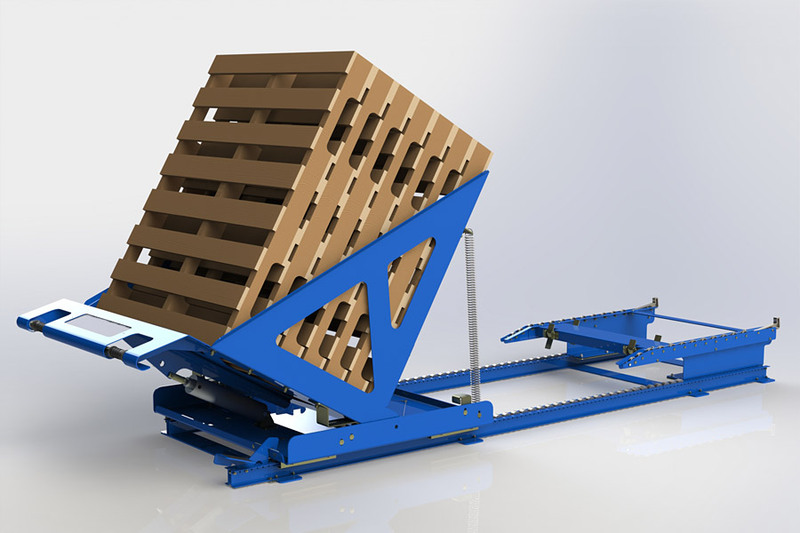 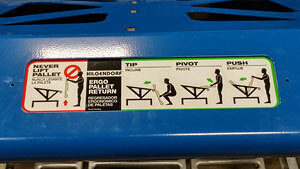 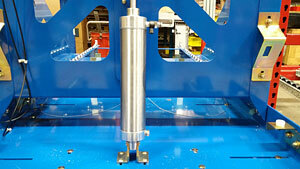 The device is also designed to handle wood and plastic pallets simultaneously. 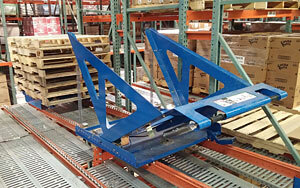 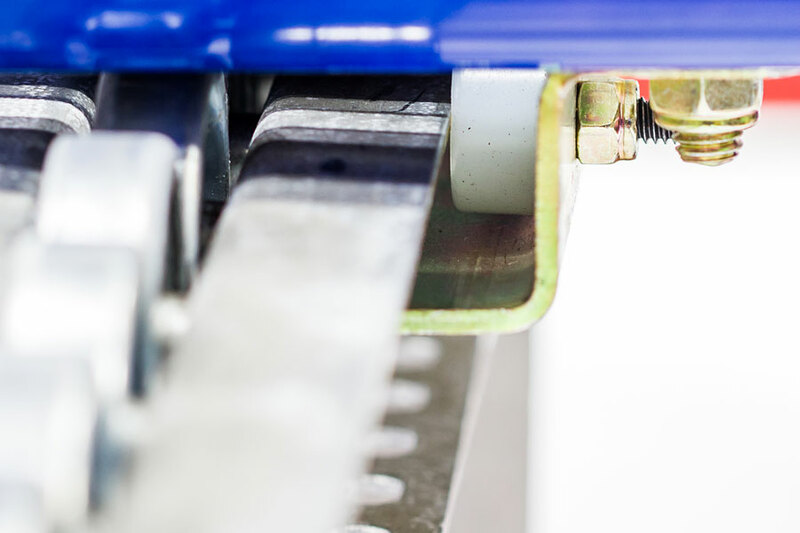 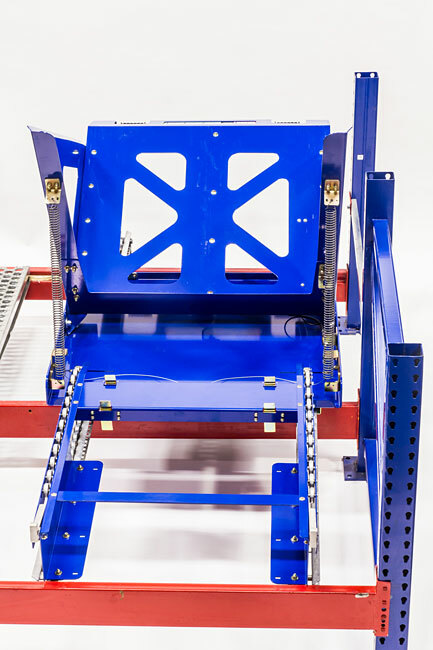 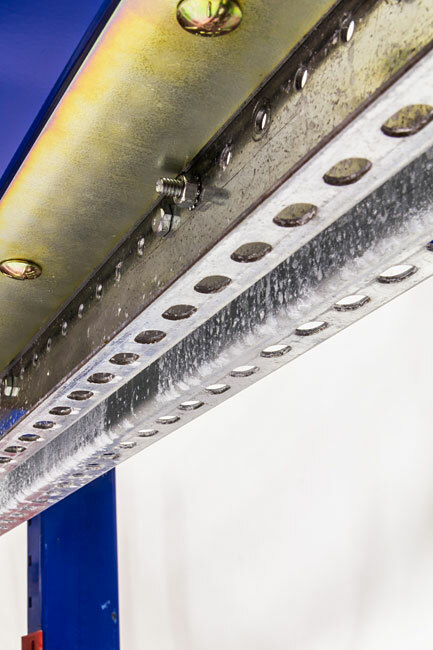 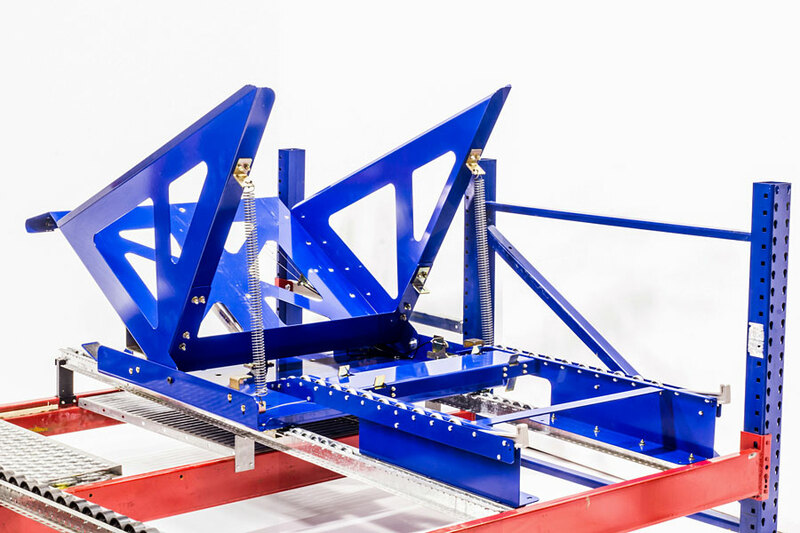 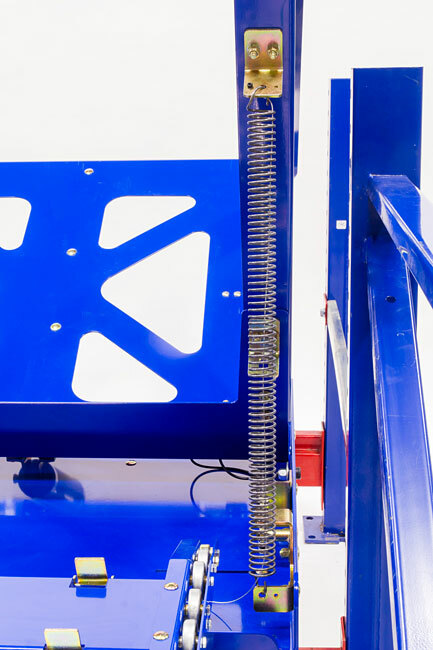 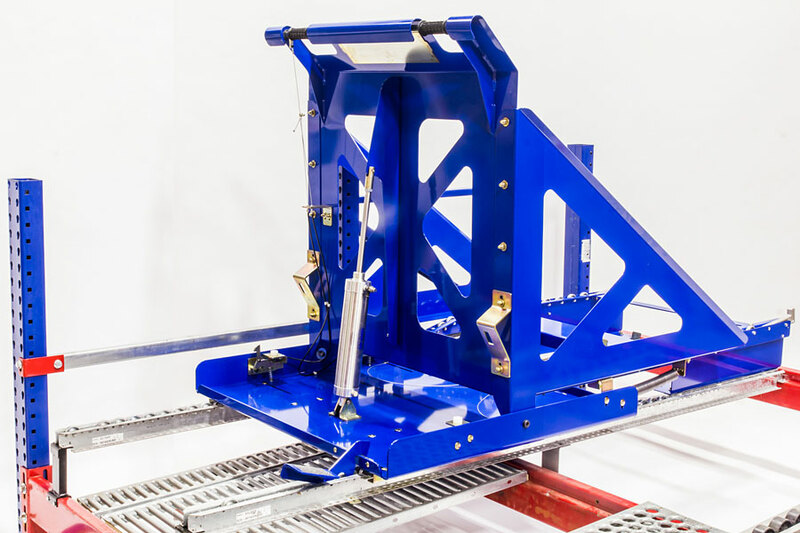 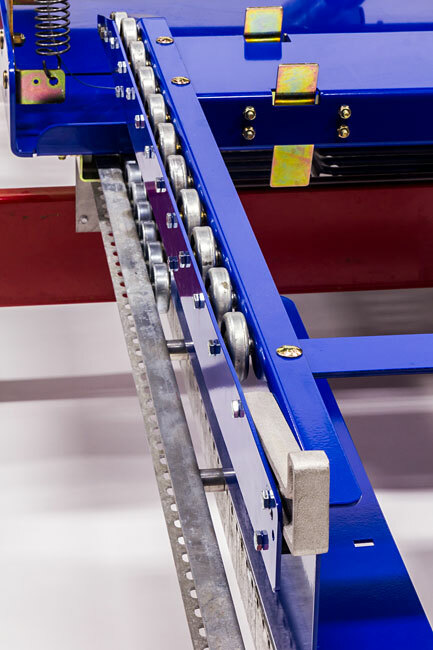 The PRD incorporates a shock absorbing device that allows the carriage to be safely tilted forward when ready to be unloaded. 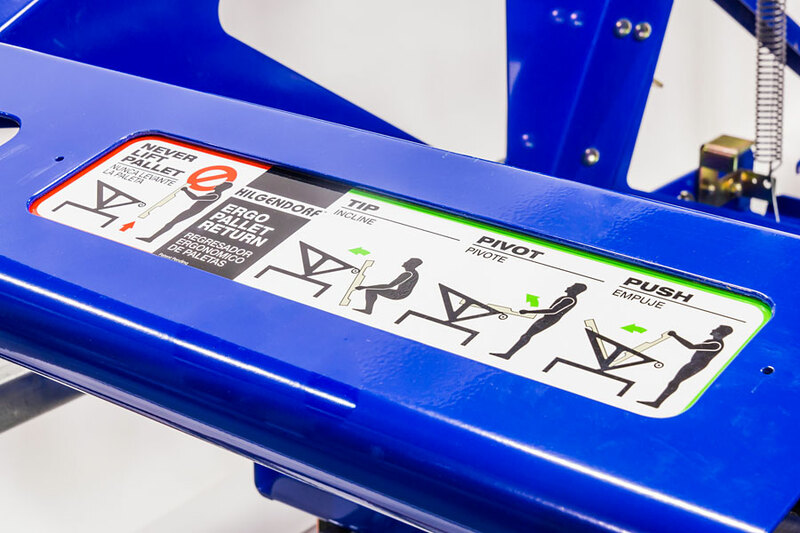 Easy to operate hand and foot releases. 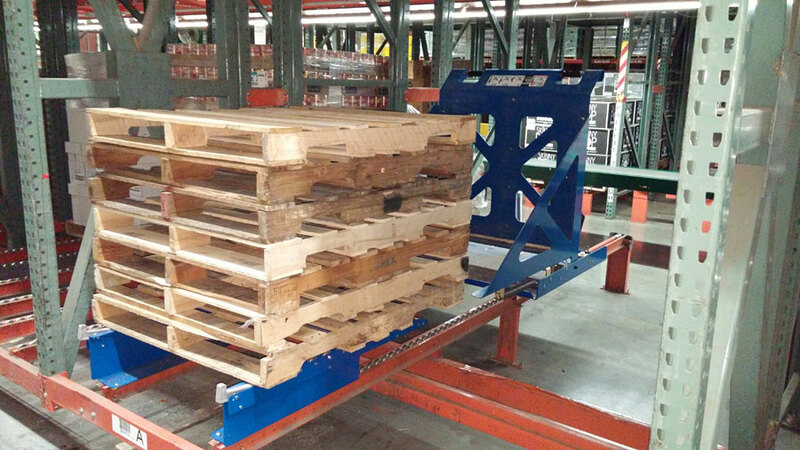 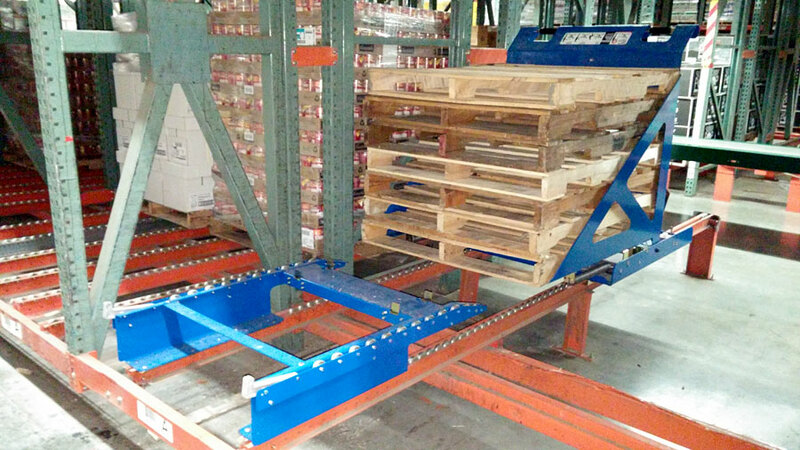 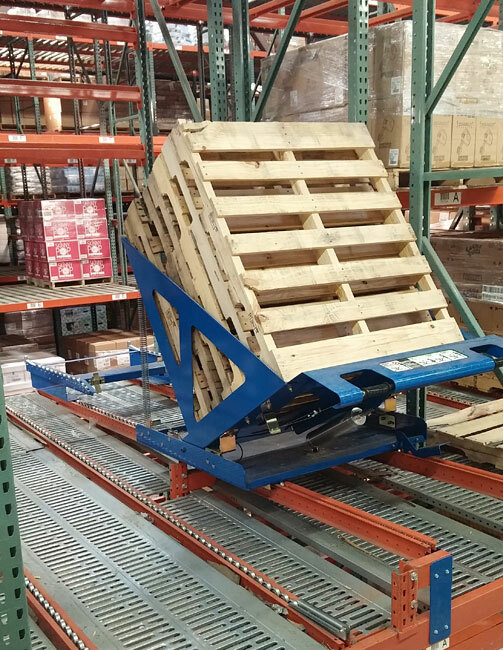 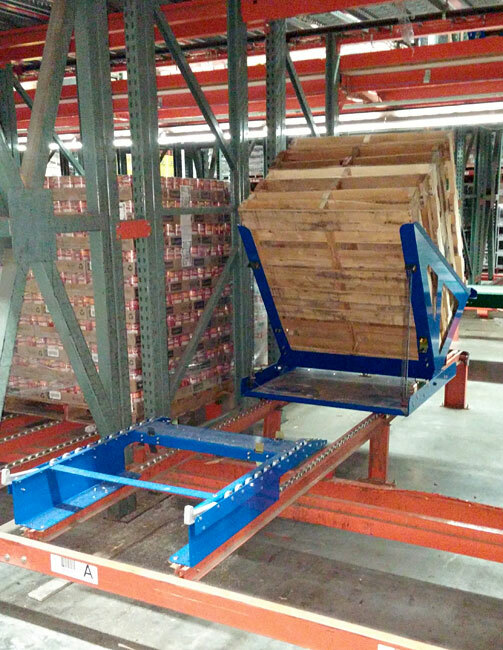 A raised receiving end that lifts the pallets off the carriage so that the carriage can be removed easily and reset. 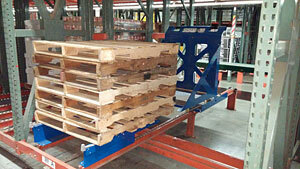 End stops that keep the pallets in line and visible for the forklift drivers. 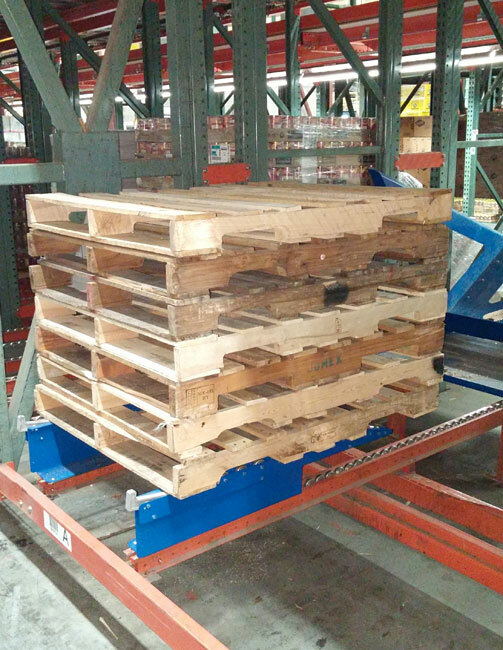 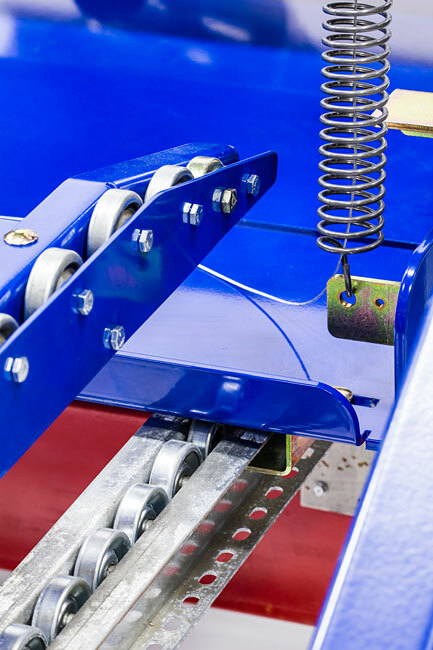 A set of springs that assists the operator by pulling the loaded device over the center of mass when the stack of pallets is ready to be unloaded. 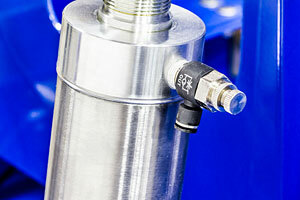 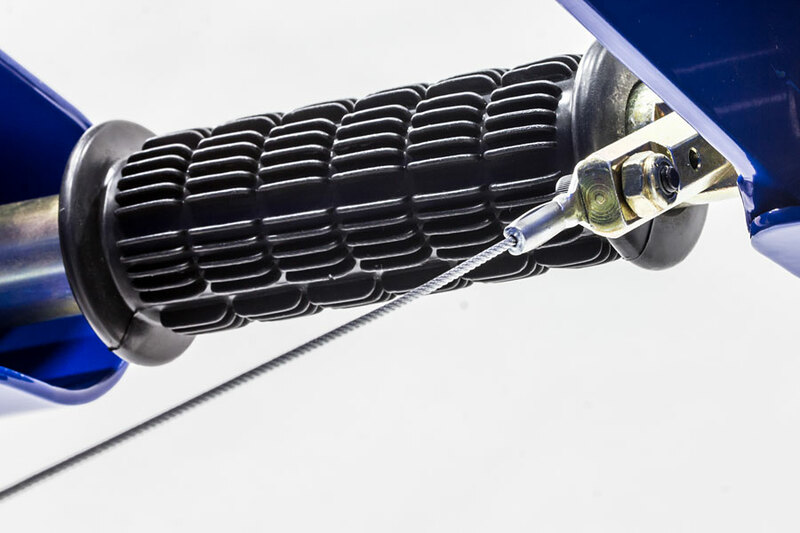 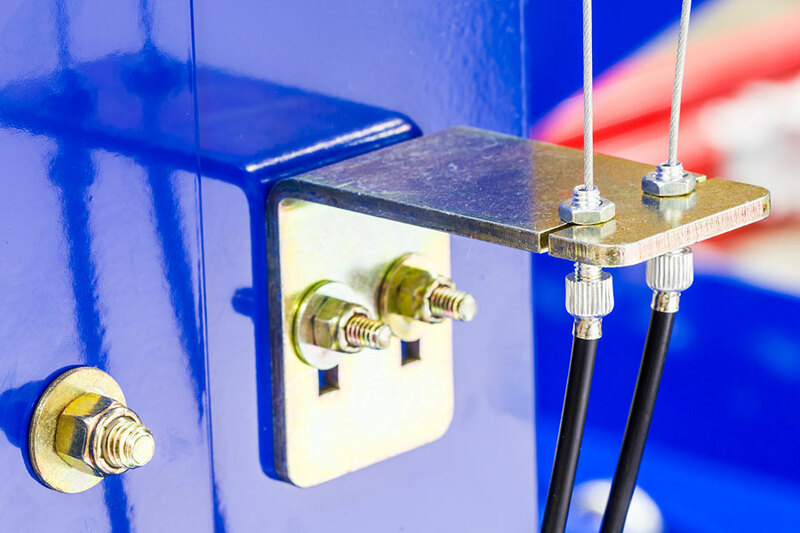 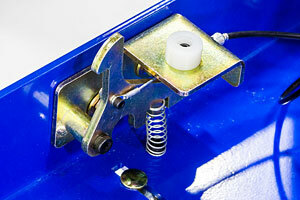 There is also a safety cord that prevents the spring from projecting in the rare event of a failure. 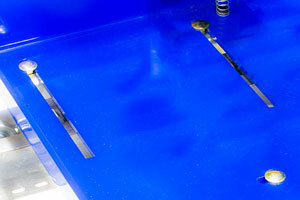 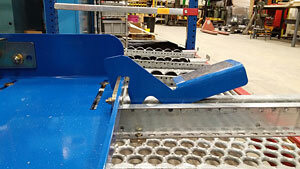 UHMW wear pads are used to prevent metal on metal contact of moving parts. A recessed, bilingual safety label is easily viewed that explains the proper method to lift an empty pallet into the carriage. 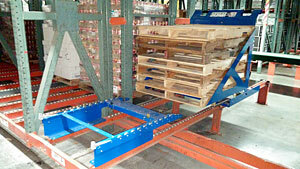 There are no other manual pallet stackers like this on the market. This device is truly one of a kind. 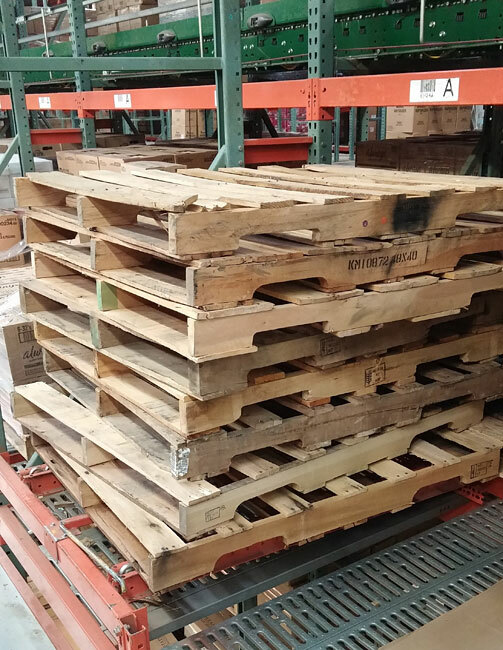 As the stack of pallets is lifted off the carriage, the end stop keeps them in line and visible for the forklift driver. 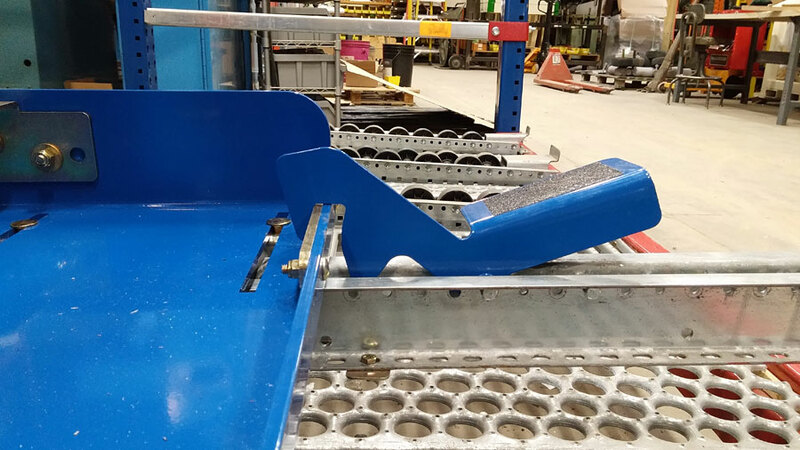 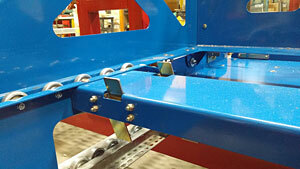 Customized carriage bolts were made specifically for this device to reduce the amount of friction while retrieving the carriage after a load of pallets is dropped off at the receiving end. replacement of cables, should the need arise. and customized to fit any rail system. 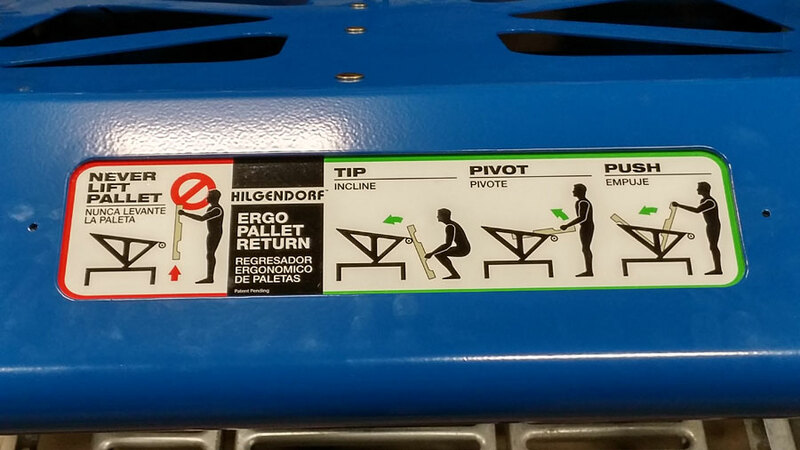 can easily be changed when worn. A compact rear quick release assembly without the carriage. 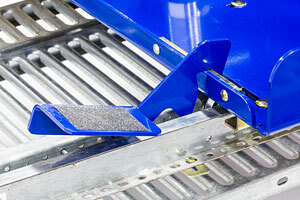 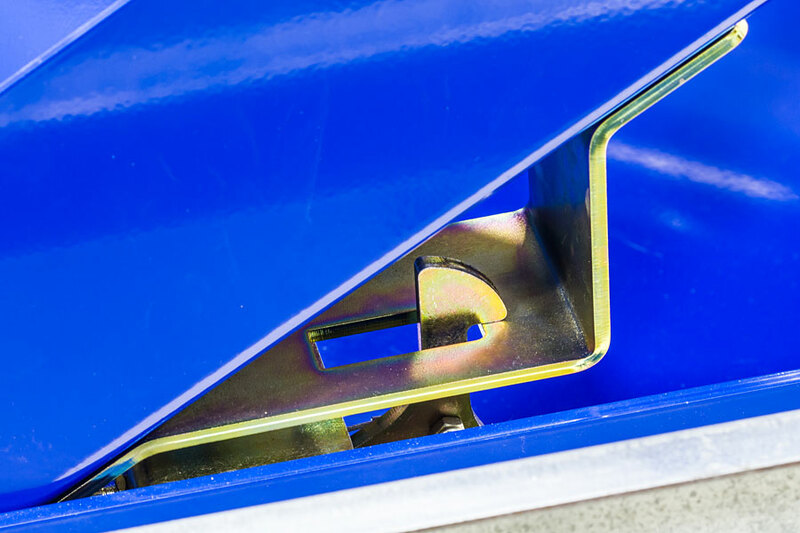 The carriage rests on bumpers and can be easily replaced if they become worn.